Courtesy of Sauer & Associates, Inc., Anthony Sauer. Perfect for the first time home buyer or retiring couple. This attractive three bedroom one and a half bath property is in an established neighborhood and down the road from the Lake Whitney State Park. Covered porches with a carport next to the one car garage. Open kitchen, eating, and living room. Even has a pantry in the kitchen, coat closet in the entry, as well as linen closet down the hall. This home is laid out well and efficient with central air and heat. Even has a raised garden bed to grow your own vegetables. Don2019;t pass this one by! 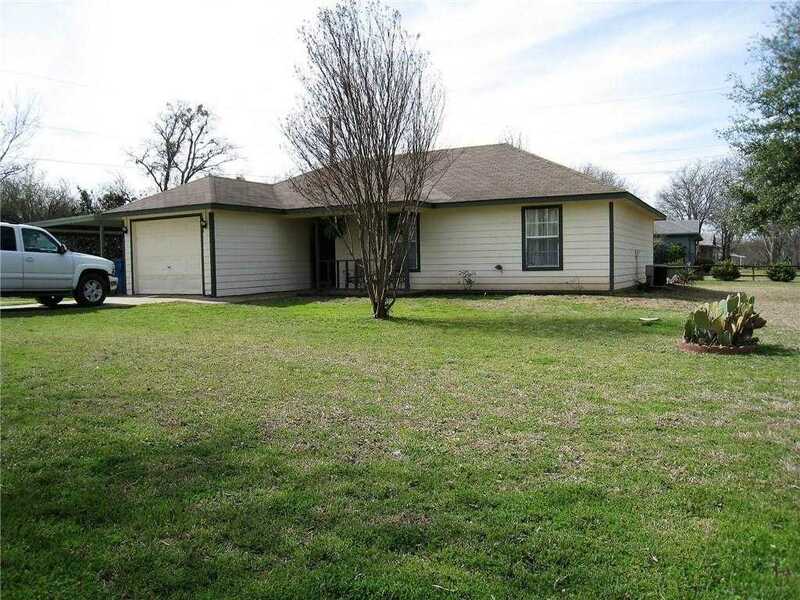 Please, send me more information on this property: MLS# 14029503 – $124,000 – 700 San Antonio Street, Whitney, TX 76692. I would like to schedule a private showing for this property: MLS# 14029503 – $124,000 – 700 San Antonio Street, Whitney, TX 76692.